Good morning my lovelies. How are you all doing on this chilly and yet sunny morning?? I’m still full of the cold so I believe a new tea is in order. For those who don’t know me, I’m a pure tea jenny. 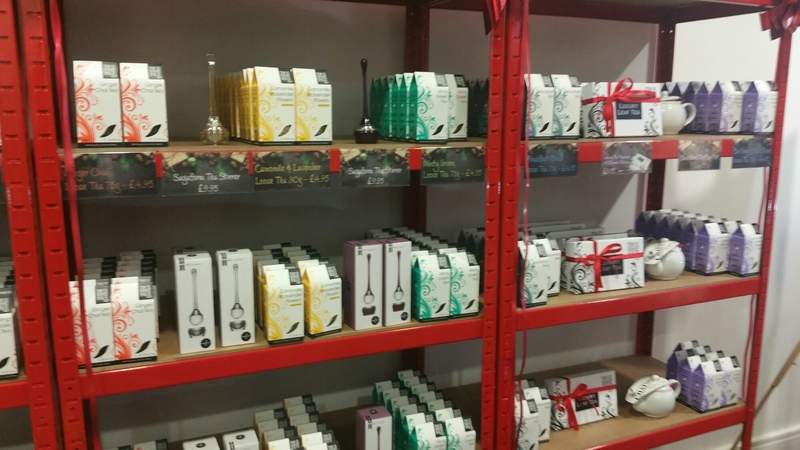 If offered a choice it will be tea any day, any time. And your like me this little place will excit you too. 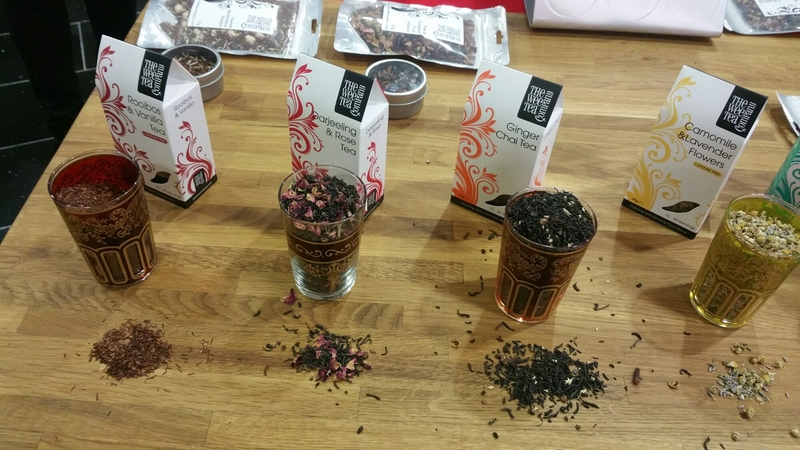 The Ginger Chai Tea smells delightful (loose leaves) but I’m reviewing the tinned tea. 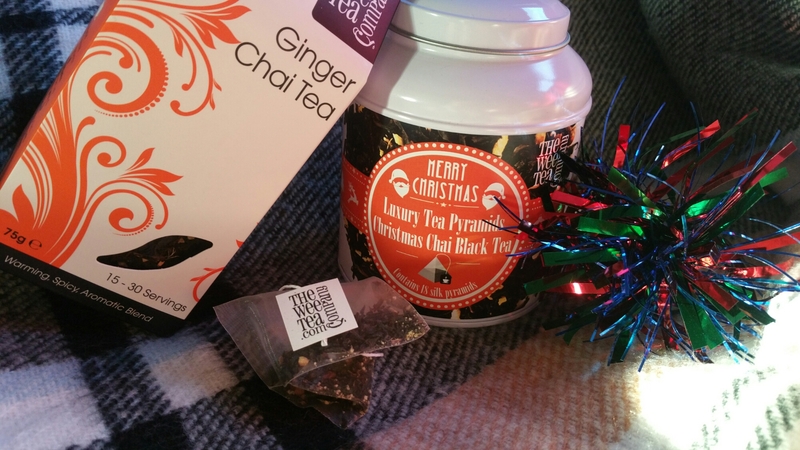 The lovely Christmas Chai Black Tea that are bagged. 18 silk pyramids bags to be specific. Excuse the snippers, I’m sewing. 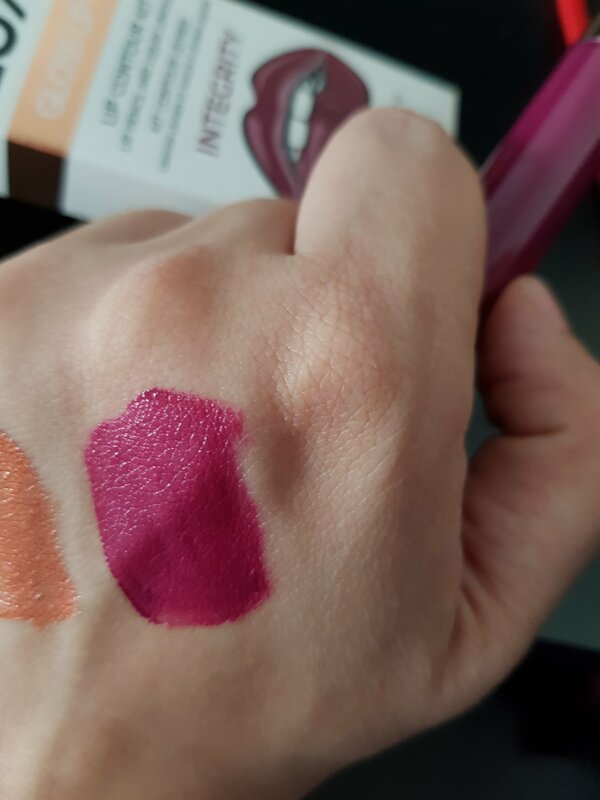 Anyway how intense is this colour. Such a beautiful orange!! I love the intense colour and the flavor……..wow. When you first smell it, it just wafts chai. That lovely Christmas scent that’s not in your face. I don’t normally drink black tea, but this is lovely. The chai taste is there and tickels the back of your throat. 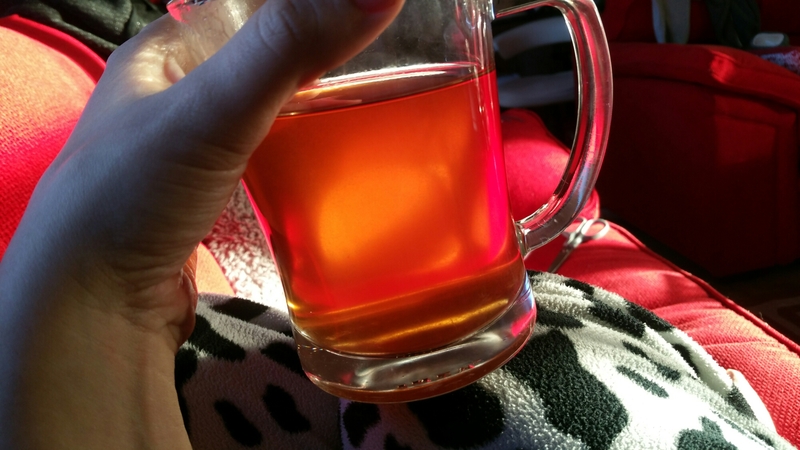 (The only tea I haven’t put sugar in!) It has such a rustic taste. It’s actually so hard to put into words. But it does taste amazing. I hope this has tickled your tea taste buds my lovely readers. Until next time. Day 2 of Blogmas, and it’s been a giggle with taking tons of photos and trying to get stuff all sorted. 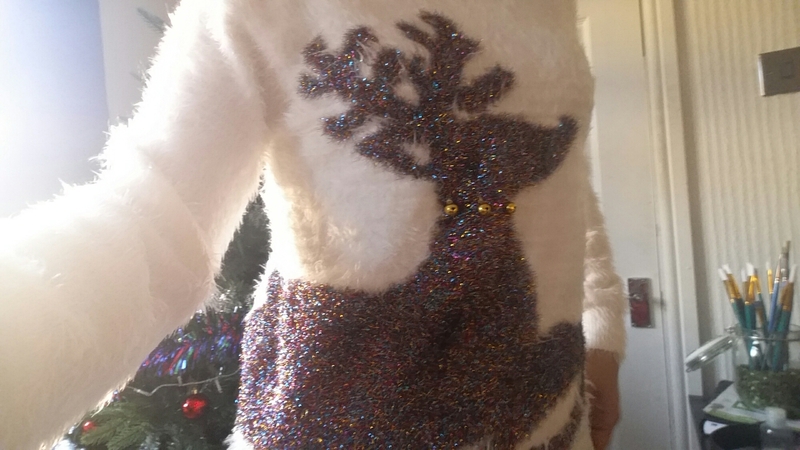 Who doesn’t love cute Christmas jumpers?? Well I have a slight confession…….me. I don’t like Christmas jumpers. However it’s the horrid ones with all the crazy stuff hanging out, too many bells and the recent social media, hast tags ones. I was out shopping when I stumbled upon 2 and I loved them. How awesome is this jumper!! I actually love it. There are bells (they may be coming off soon!!) but its the colours I love. 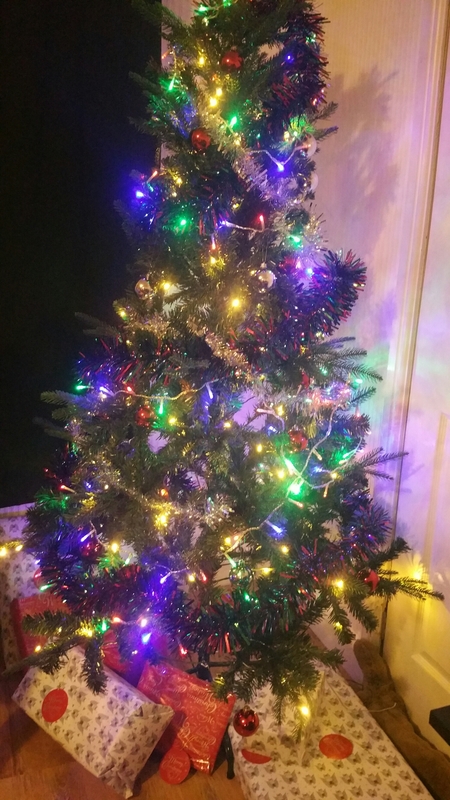 It’s little bits of coloured tinsel and it goes round the back. How cute. Simple and just right for Christmas. (I got this from Asda george for £16.) Its cosy and perfect for the season. Also this is a medium size, and ain’t to snug. Santa! Why are you on a jumper old chap? Ain’t it cute. The best gents jumper that isn’t over the top. (Although Ross would wear one of those just to tick me off!!) It’s actually a Large and looks great. Can’t wait for him to wear it!! I got this outta George Asda too for £16 (I think!!!) last week. I’ve been pestering the poor bloke too wear it since. Lol. I’m more excited about these and Christmas cause it’s my niece’s first one with us!! I hope she loves the jumpers just as much as I do. I have one for her, but cann’t show you yet. It wouldn’t be fair on the wee one. She will be modeling it shortly though! 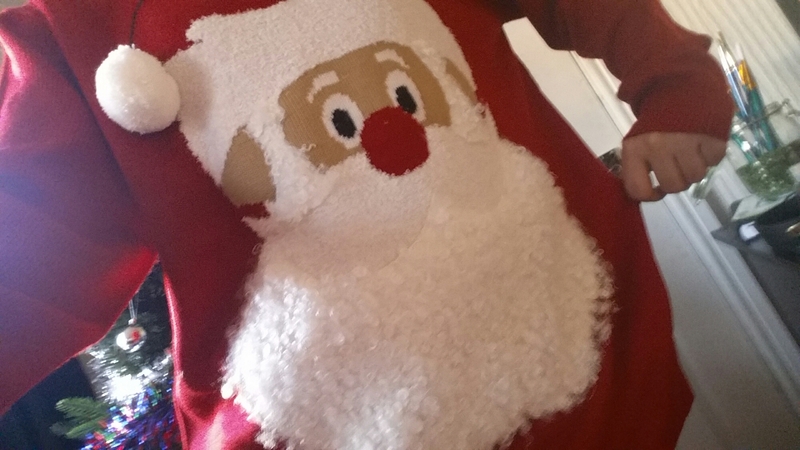 Do you like Christmas jumpers?? If so, what ones do you like?? It helps get me in the mood for Christmas!! This year I’ve left my usual and went for something different. A white hot chocolate!!! What!! But wait…..there is more. 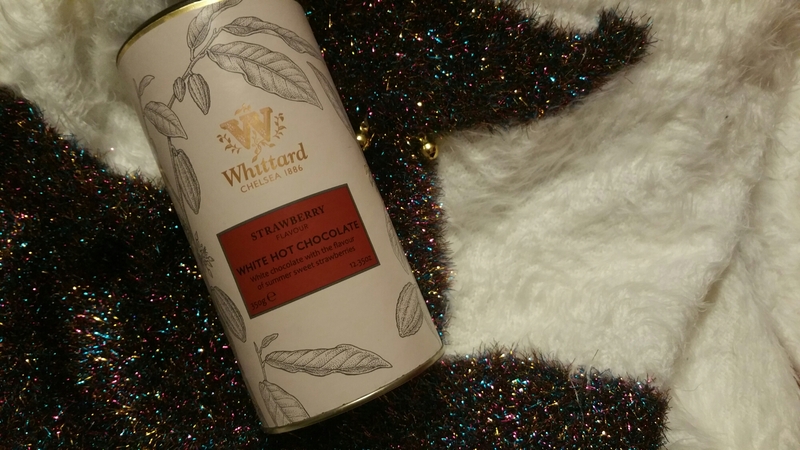 This hot chocolate is from a lovely little shop called Whittard in Edinburgh. I pass it all the time on my way to college. I bought this for £7 and it’s worth it. The strawberry taste is very subtle, I mean barely noticeable but there. And the white chocolate itself its too heavy but creamy. FYI I make my hot chocolates (well the sister does. The queen of making hot chocolates) with hot milk. I hate hot water, yuck. But I do love my first chocolate drink of the year. It gets me in the mood for Christmas and helps keep me relaxed. 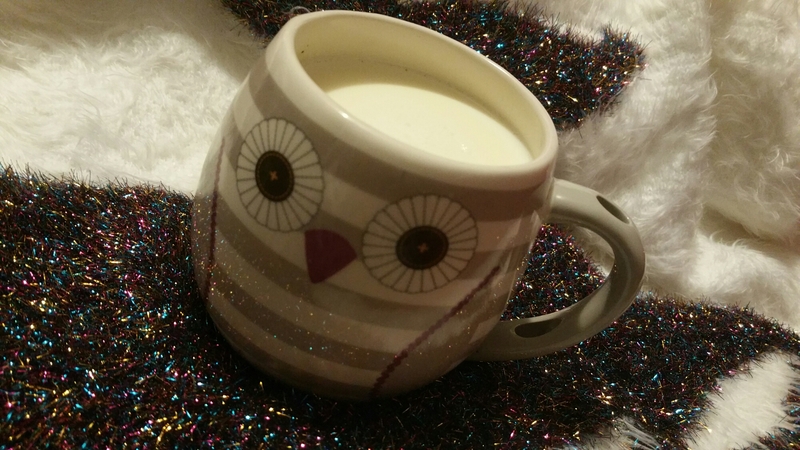 Are you a hot chocolate lover?? What’s your favourite?? 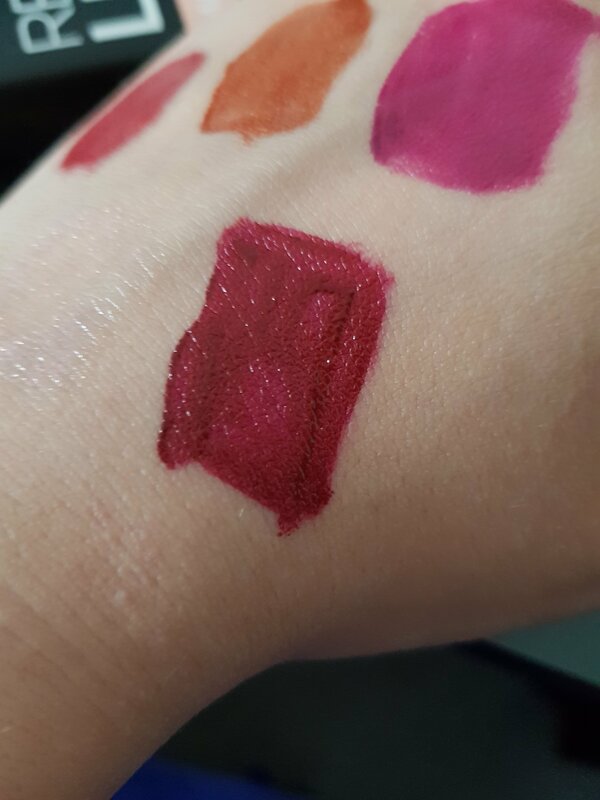 My little sister has just really got into her makeup course and I finally got to see her kit that she hot from college. 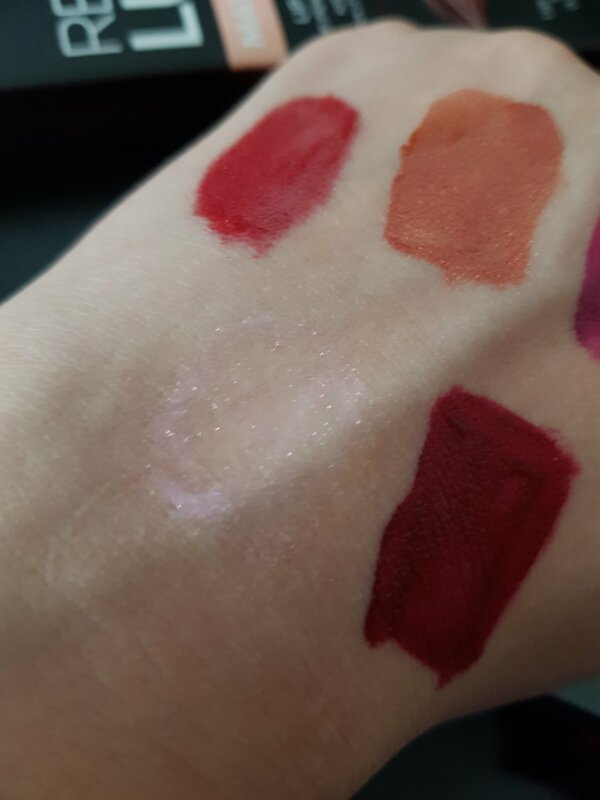 Now I’m not a makeup expert or anyrhing but I will say that she needs a new kit. Asap!! 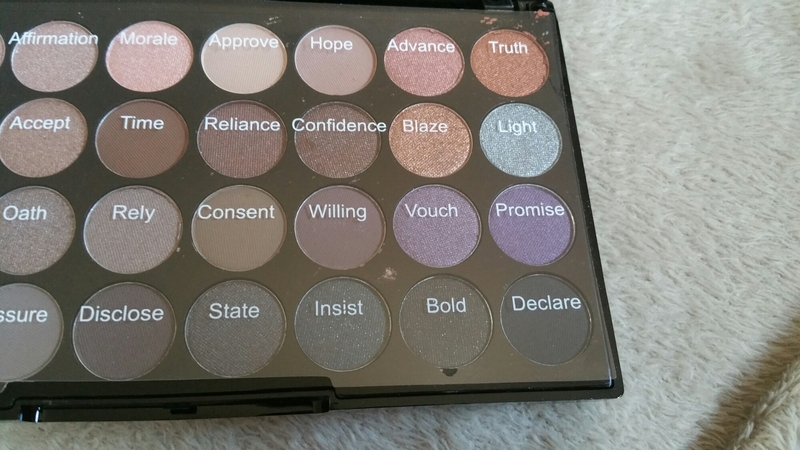 This palette is from Revolution in their light to medium. 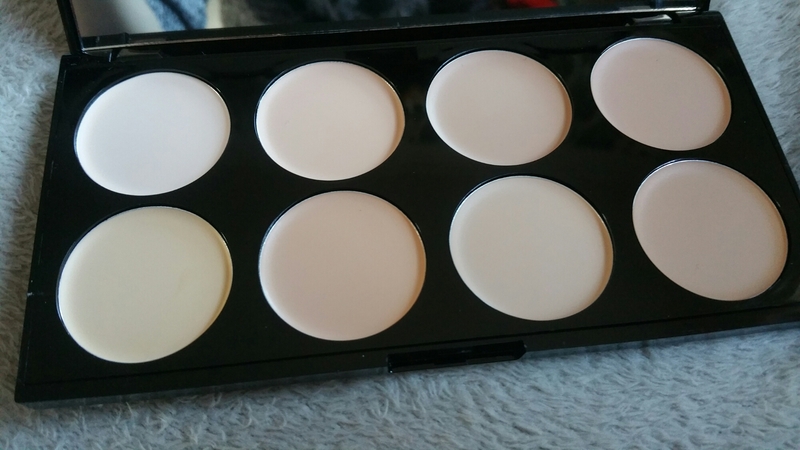 The Ultra Cover and Concealer Palette. 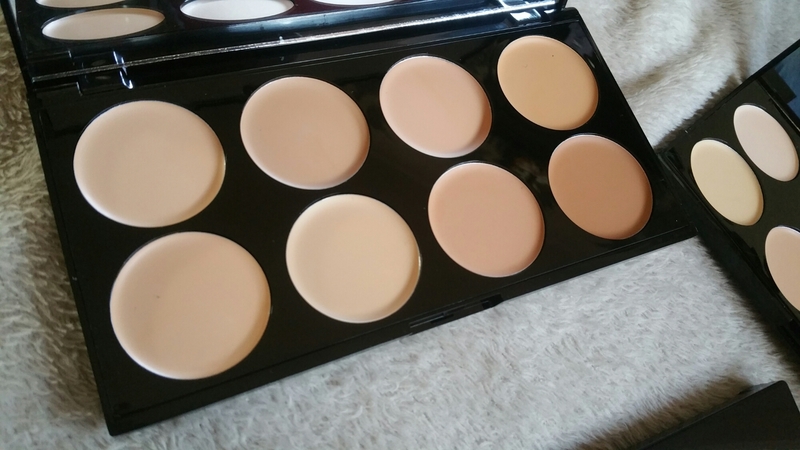 This one is actually for me, I’ve been lookin to try some other forms of concealer since I got my Soap and Glory concealer stick. Mainly cause while I do like it, I feel that it doesn’t actually blend into my skin all that well. I can not wait to test this out and see how well it works with me. They do feel very creamy in texture on my finger tips. Not actually used them yet but will! I got all these products from my local Superdrug and they all where £6!!! That’s a cheeky wee bargin right there. Plus they DON’T test on animals! High five to you Revolution. 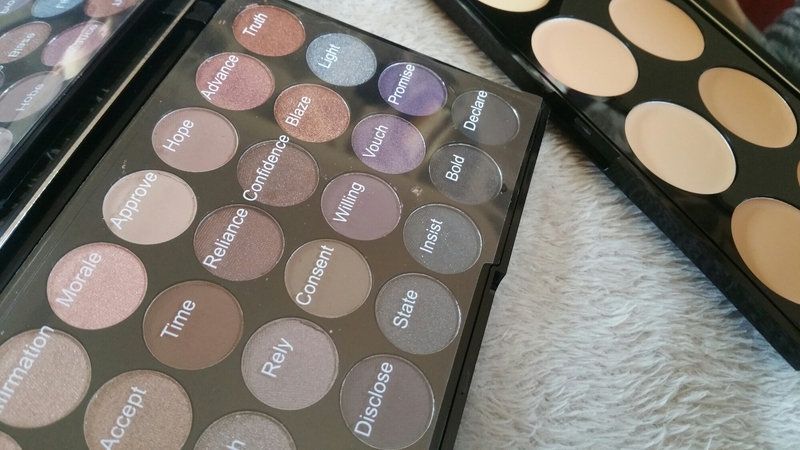 Gah I love this eyeshadow palette! Shame it’s going into the gift box for the sis. (FYI she is aware of these but thats all she knows about! Don’t tell her the rest guys!) It’s Revolutions Affirmation palette with 32 stunning colours. 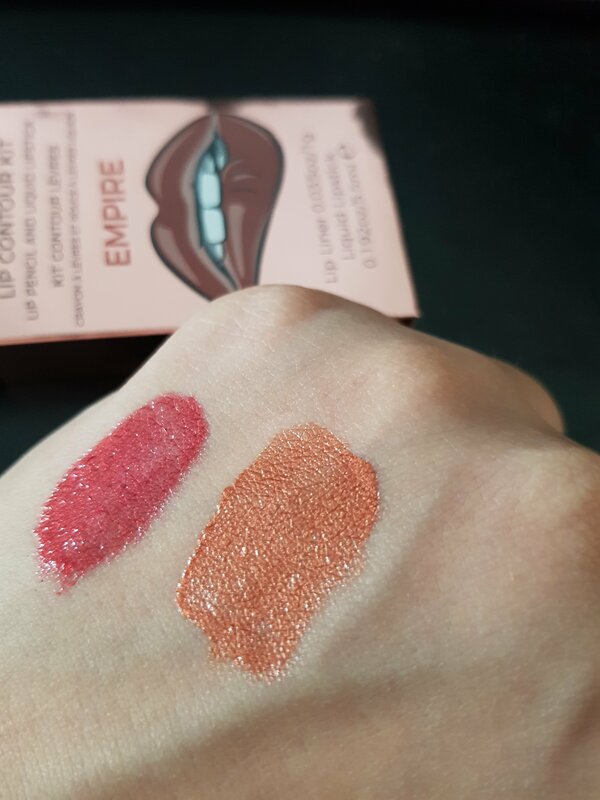 Must are a shimmer but a couple are matte’s. Not super expensive nor will they break the bank. I’m loving the shade’s Declare, Vouch and Consent. They look so pretty!! Can’t wait for a little test run. Or to see what she can do with them. Quick note, the packaging is fab as well. 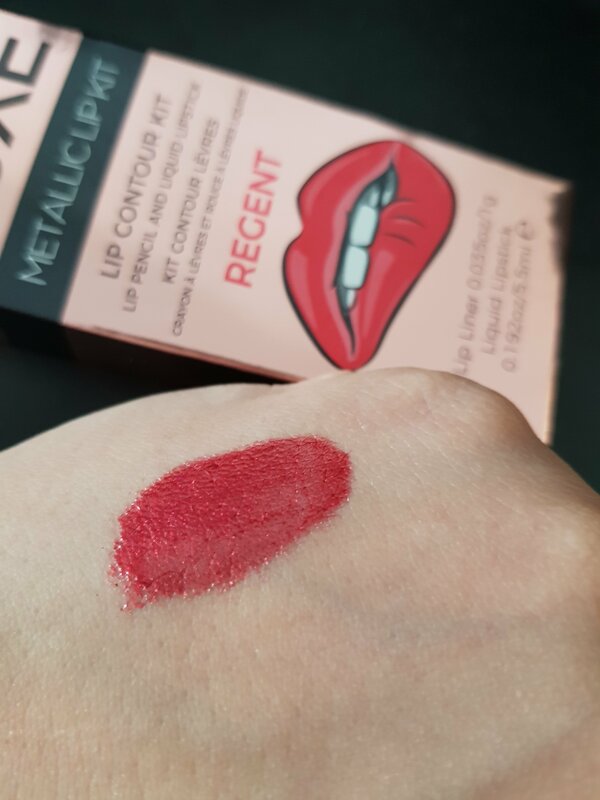 Sturdy, kinda sleek and great to fit in a decent makeup bag! Plus the rose coloured lettering really stands out on the black beautifully. Now onto another cover and conceal palettw but this one is in Light. I prefer the mix if I’m honest but these will be great for her too play about with. Even build up a small customer base and get a good idea on the different skin tones. I saw a great darker one that looks stunning. So think that will be joining her kit soon. 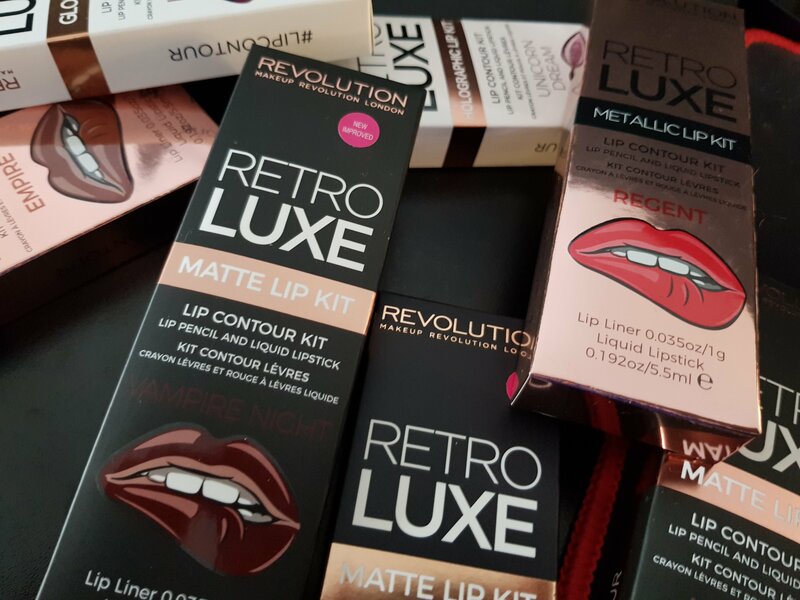 Do you beauties like Revolution? Any makeup suggestions would be great folks? Hay everyone. I just realised today that it’s Christmas tomorrow, and for many of us that means opening gifts that are loved ones have took the time to get for us. The shoes we wanted or that new game that we wanted so bad! But for many others ……Christmas is also a cruel reminder of loss and tragedy. Like the horrific events that happened in Glasgow recently. So for the rest of this year and next year, I’ll be keeping my family closer to me, my partner and my friends. After nearly losing my mum due to an accident, these things have made me realise that it’s NOT about what’s under the tree at Christmas. It’s about who is around it that tree. So for me this Christmas, my prayers are with all those that have lost someone at this time of year, whether it be recently or years ago, that pain never really goes away. For me, I’ll be lighting a candle tomorrow morning as soon as I get up, as a mark of respect for people who are no longer with us. Next year I have many dreams and hopes. I will be sharing some of them with you, my readers and fellow bloggers. Some of which are just simple things like going too college, moving out, a new job too. But i’ll be holding my family that much closer, especially now with what’s happened. And through out all of next year I’ll be living my life, I’ll be sharing my interests and passions with you and my closest people. And now I hope that every single one of you has a lovely, warmth filled Christmas with your closest people and always hold them close. Cause you never know what’s round the corner.